I hope the new year is starting out fantastic for everyone! 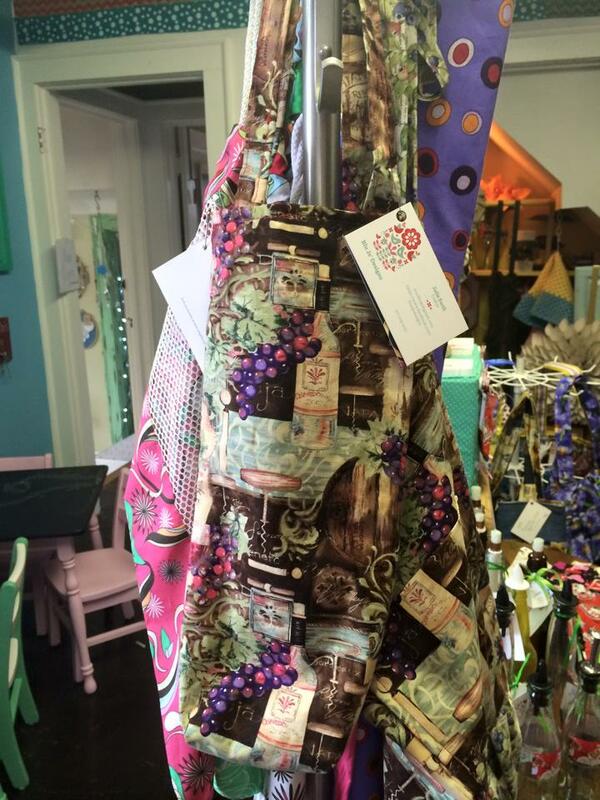 As usual, I have been keeping busy with my sewing and designs. 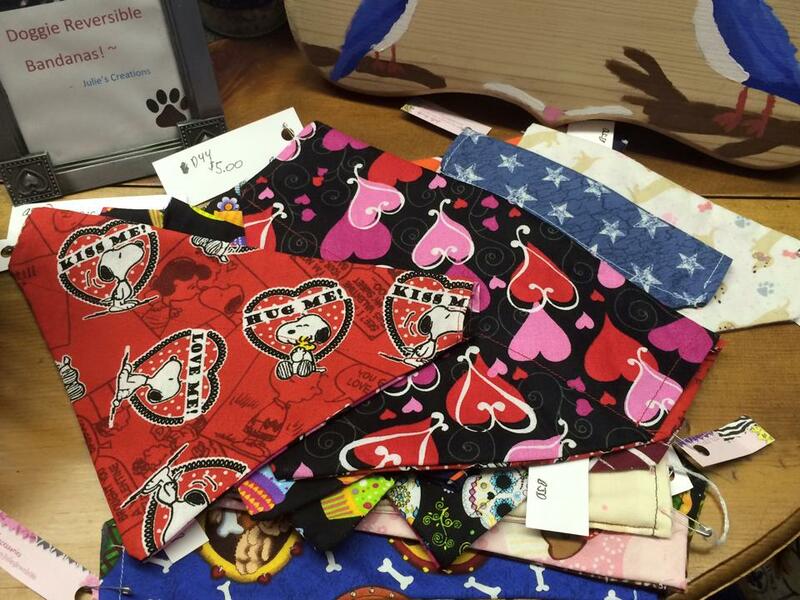 I have made a few things already this year and have dropped them off at 3 Little Black Birds including new Valentine’s Day Doggie scarves, a half apron, and a wine gift bag. I have also began to sell the leather bottom tote bags at 3 Little Black Birds. 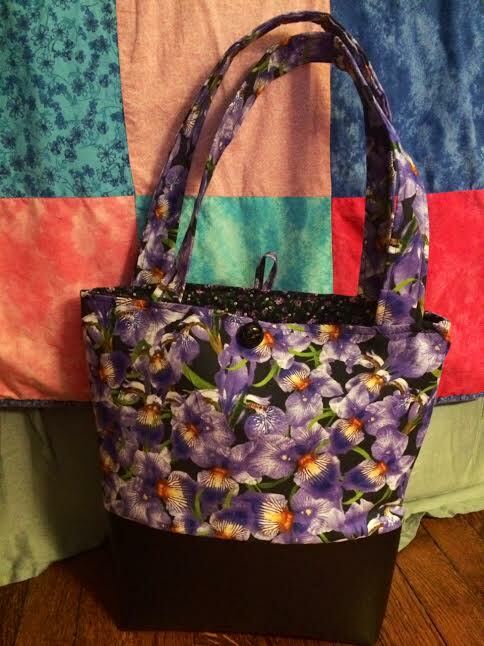 I am very proud of how the purple flowered tote turned out! Just last month for the first time I have entered a Hobby Lobby and had not realized they had a fabric section. 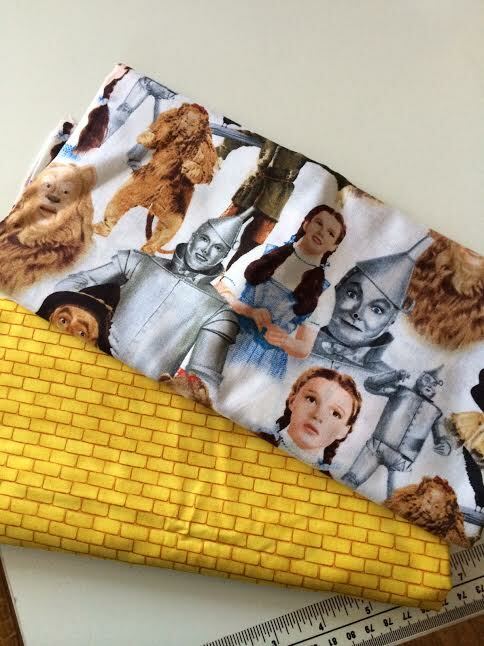 I was even more excited to find Wizard of Oz fabric. 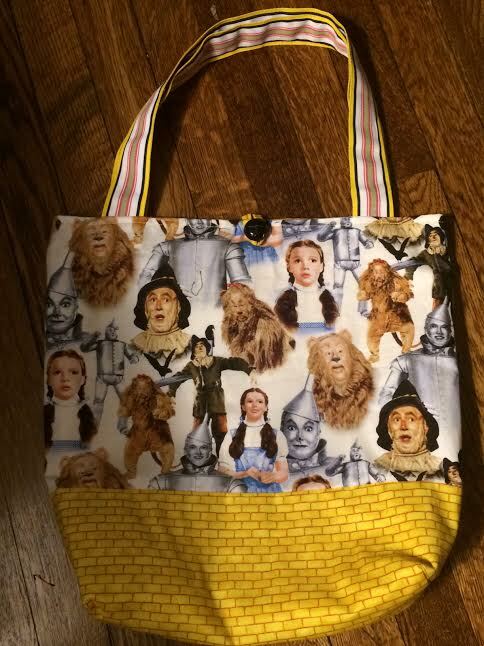 From the fabric I had found online last year, I made and sold a couple of Wizard of Oz tote bags in honor of the 75th anniversary of the movie. 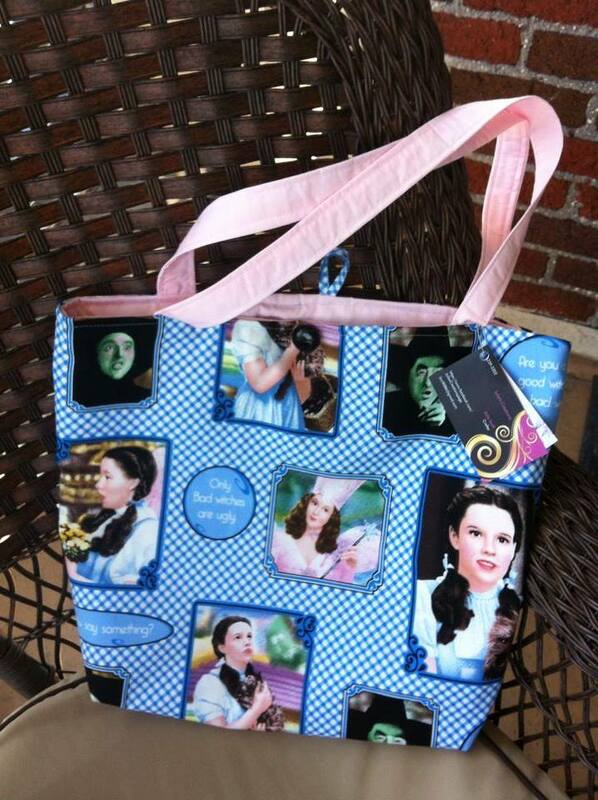 Wizard of Oz is my favorite movie so I made another tote bag from the fabric I have found at Hobby Lobby. 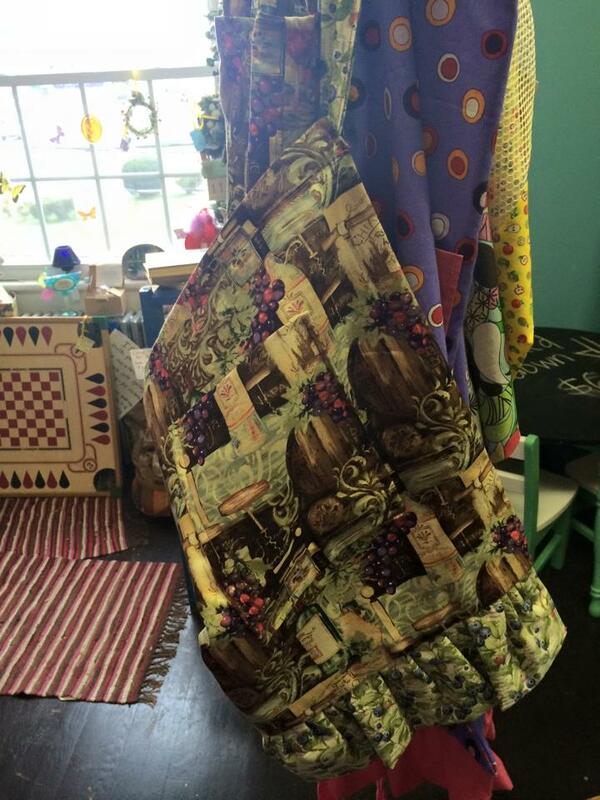 This long weekend coming up I will be sewing new credit card holders and then getting started on some zippered pouches that I plan on only selling at future craft shoes. 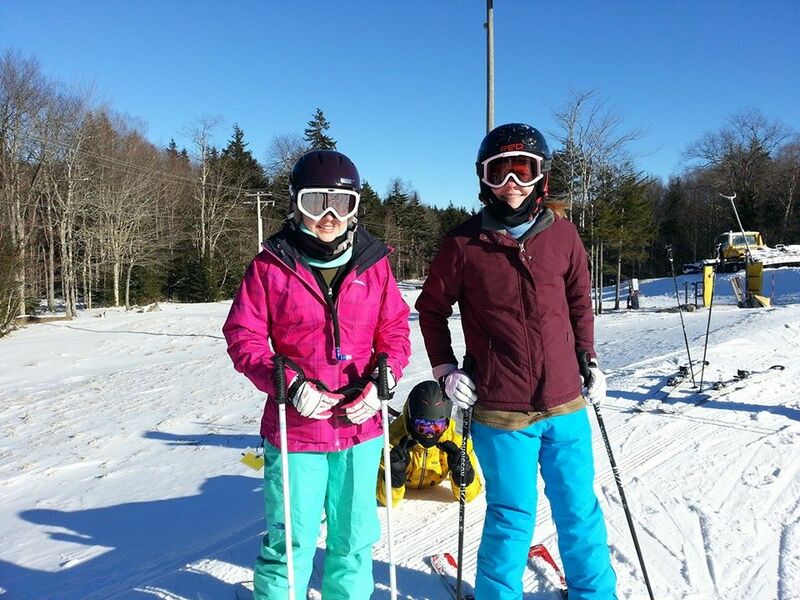 And then after that I will be enjoying a week of skiing up in Maine with my boyfriend, friends, and my business partner!